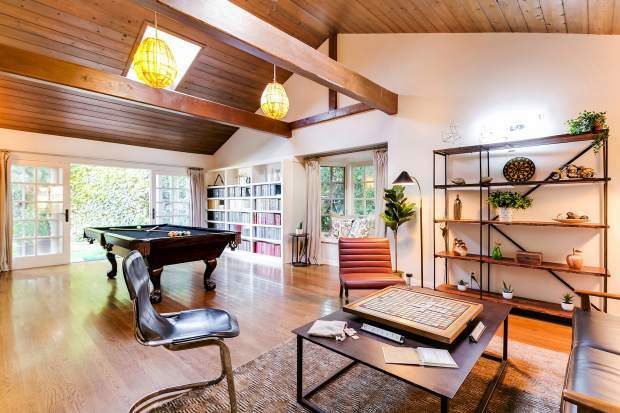 This home in the Bel Air neighborhood of Los Angeles is listed on Airbnb Plus. Stocking your vacation rental with games, books and other recreational amenities, and having professional photos taken of your home, will make it a draw for potential renters, says Peter Lorimer, real estate expert and co-host of Netflix's "Stay Here" series. If you’re thinking of listing your home as a vacation rental, first check your local municipality for regulations regarding short-term rentals, and then have a listen to what travelers say makes a space inviting and welcoming and what’s a turnoff. “I would have loved better sheets and towels, as well as decent soap and amenities,” said Carol VanderKloot, of New York, who was underwhelmed by a recent Michigan rental. Nice linens are mentioned often in online reviews. In a poll conducted by Airbnb this summer, travelers rating their vacation experience cared most about the quality of their accommodations, followed by amenities that are functional and thoughtful. So along with nice shampoo, consider a bottle of wine, a bicycle or scooter for summer guests or a sled or snowshoes for winter. Focus on potential guests’ comfort, both in your decor and your marketing, said Peter Lorimer, a Los Angeles-based real estate expert. Lorimer has teamed up with interior designer Genevieve Gorder on a new Netflix series, “Stay Here,” in which they help homeowners refurbish and redecorate their spaces to make them more attractive to visitors. Consider including “insider” suggestions for what to do and where to go in the area. Post links to online calendars along with your listing, such as http://www.vaildaily.com/calendar or https://everything vailvalley.com, to help guests plan their stay. Consider an incentive gift for longer stays, like a gift certificate for a local restaurant, or lift tickets for Vail or Beaver Creek. Displaying some local photography or artwork might pique curiosity and help you build a relationship with nearby shop owners, too. The key is finding a balance: a space that’s neither too personal nor impersonal. Renters differ about how much personal style they like in a space. VanderKloot enjoyed an array of vintage radios displayed on a shelf in a Michigan home, but appreciated not having kitschy decor in a rental in New Orleans. “The Scandinavian interior in that rental was a perfect counter-palette to the excess of (the city),” she said. In an apartment in Copenhagen, New Yorker Darby Drake said she would have appreciated some personal touches. “What turned me off most was how bland everything was. It didn’t quite feel ‘lived-in,’” she said. The lounger wasn’t shown in the online photos, Drake said. And that could have been a missed opportunity. “The No. 1 reason for guests not booking is bad marketing,” Lorimer said, and cellphone photos won’t do. “A professional photographer must be engaged, and the whole area needs to be designed or even staged so that the lifestyle is being sold every bit as much as the accommodation. Take seasonal photos of your yard or nearby attractions, he suggested, and change them online accordingly. Consider, too, a well-stocked snack cupboard, some unobtrusive but pleasant home fragrances, a first aid kit and perhaps some chilled beverages in the fridge upon arrival; small, thoughtful details make even the most modest space welcoming.